BevNET Live Winter 12 is only a couple days away, and we’re pleased to announce the return of a free, live video stream of the event. The live stream will be broadcast from the conference, which will take place at the Loews Santa Monica Beach Hotel in Santa Monica, Calif. on December 3 and 4. BevNET Live Winter 12 – the seventh consecutive sold-out live conference for BevNET.com – will feature a range of experts and industry captains taking part in panels and discussions on financing, distribution, marketing, new media, and product development. The high-definition live stream begins at 9:00 AM on Dec. 3, and will cover every minute of the two-day BevNET Live event, including a recently announced interview with actor, producer and, AQUAHydrate board member Mark Wahlberg. The interview help kick off the conference with a discussion on key methods for leveraging celebrity investment and involvement with beverage brands. Again, the event is sold-out, however a wait list is available. If you are interested in attending, please follow this link, and a BevNET representative will contact you as soon as possible. 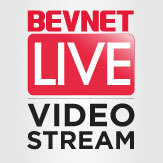 To view the live video: Visit http://www.bevnet.com on December 3 and 4 for further details and instructions.